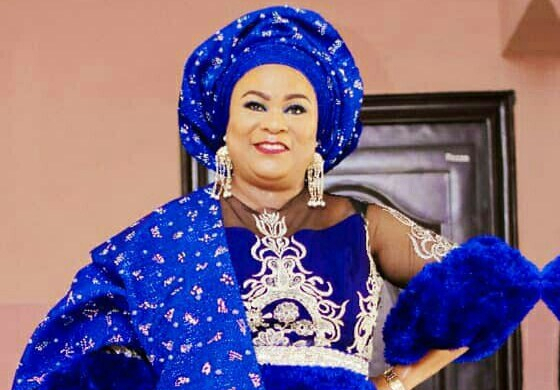 Without a doubt, veteran actress, Shola Sobowale is one of the most talented role interpreters in Nigeria. The revered actress who recently featured in Kemi Adetiba’s blockbuster movie, ‘King of boys ‘ has revealed that she rejects some movie scripts. Many would remember her as Toyin Tomato in Wale Adenuga’s hit TV series, Super Story. Shola brings her roles to life, making it believable and relatable. In a recent chat on E-Splash on TVC, she explained her reason for rejecting movie scripts. “I have rejected a lot of scripts. I have to do things that people will take home. Any script I do must change people’s lives, it must turn people’s lives around” ,she said. When asked the secret of her relevance and consistency, she alluded it to God’s grace. “Luck and God’s grace has been the secret of my success and relevance”. Sobowale who played the role of Alhaja Eniola Salami, a businesswoman and philanthropist with a checkered past in ‘King of Boys’ also stated that Kemi Adetiba took a chance on her despite doubting her own ability.